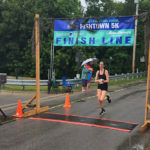 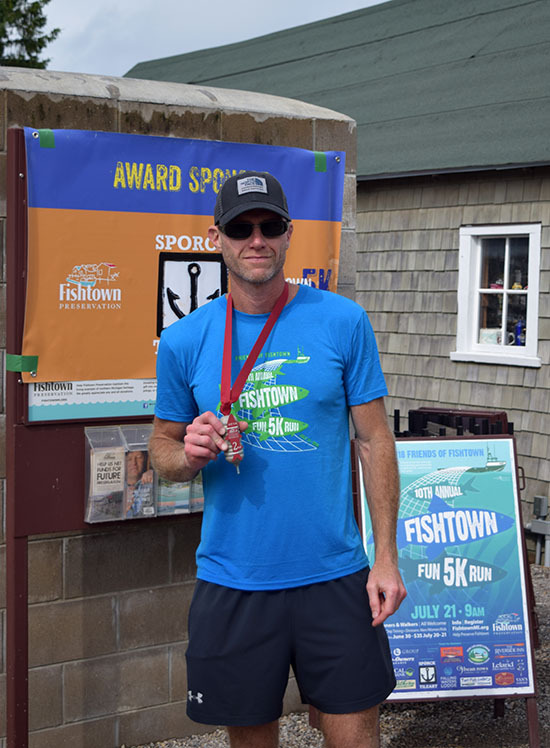 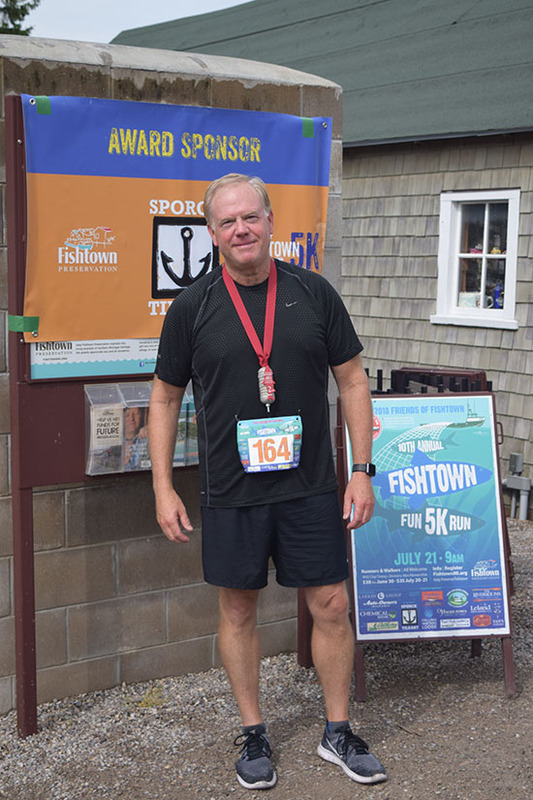 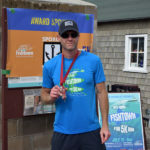 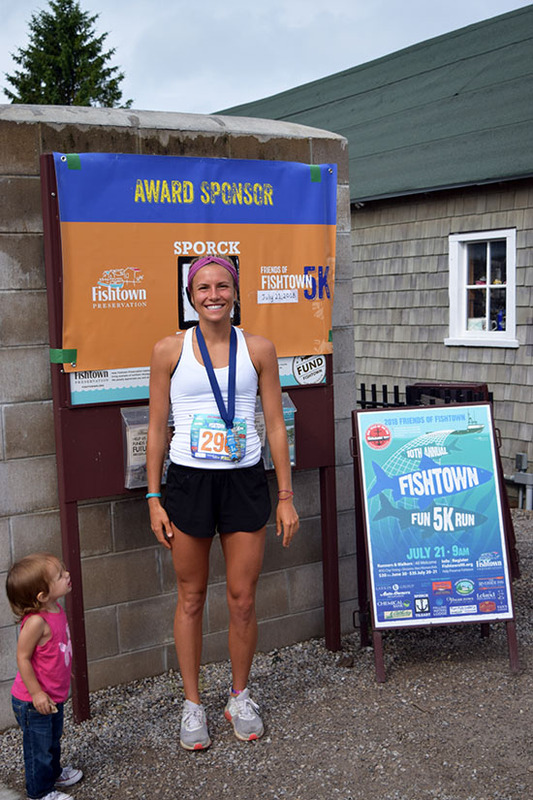 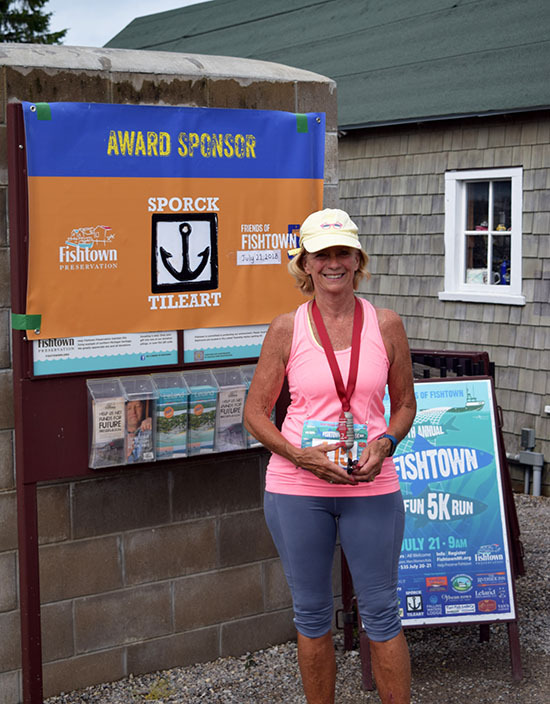 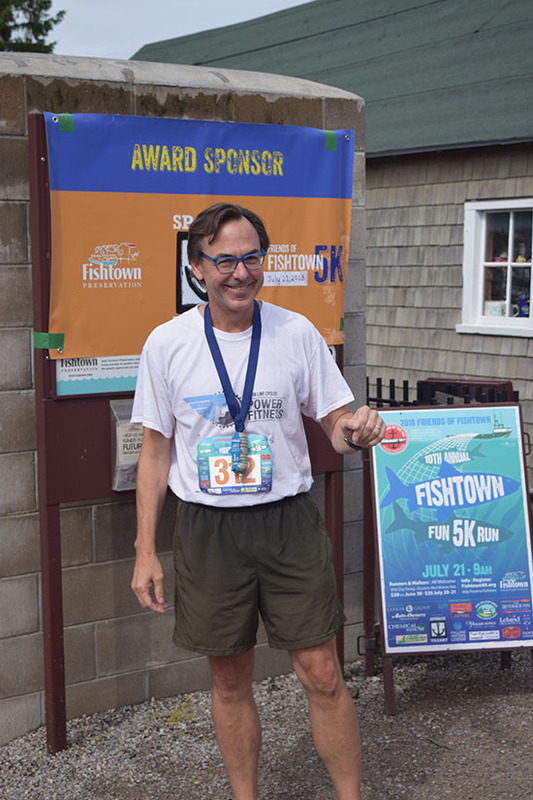 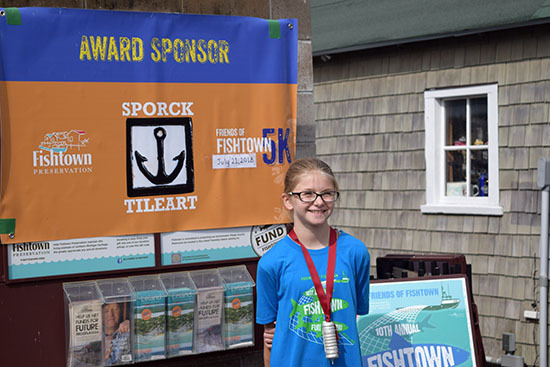 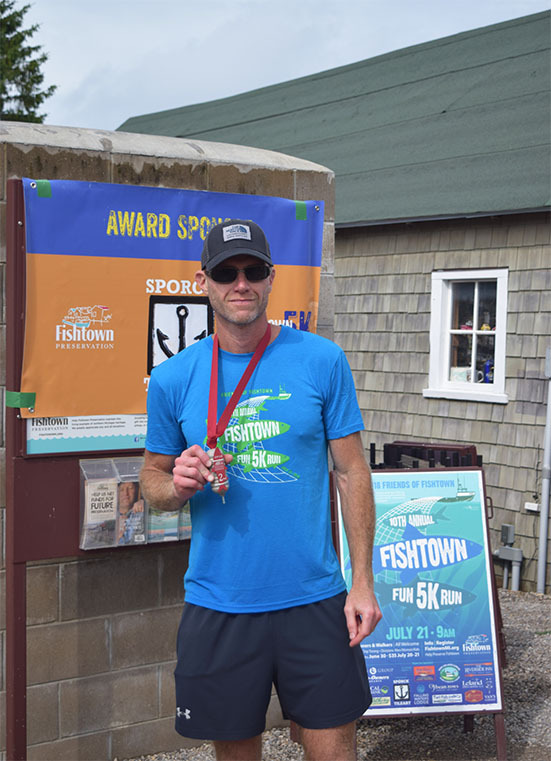 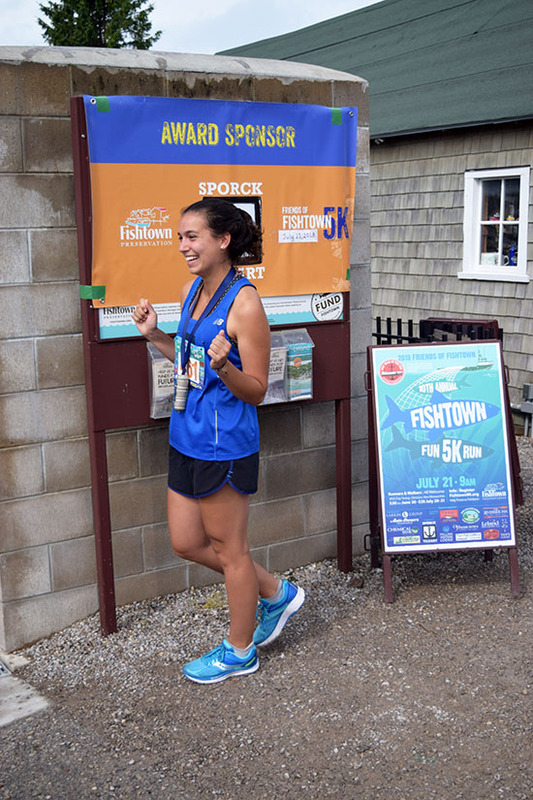 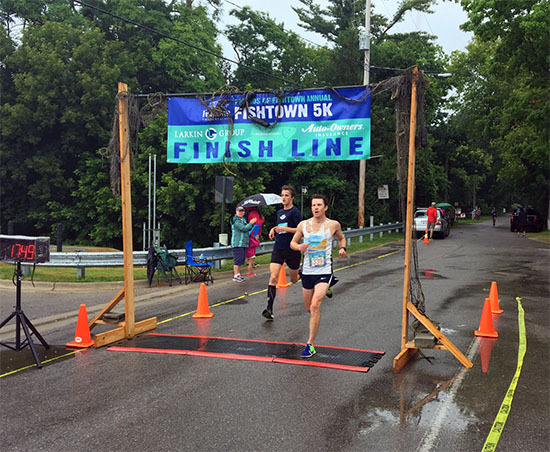 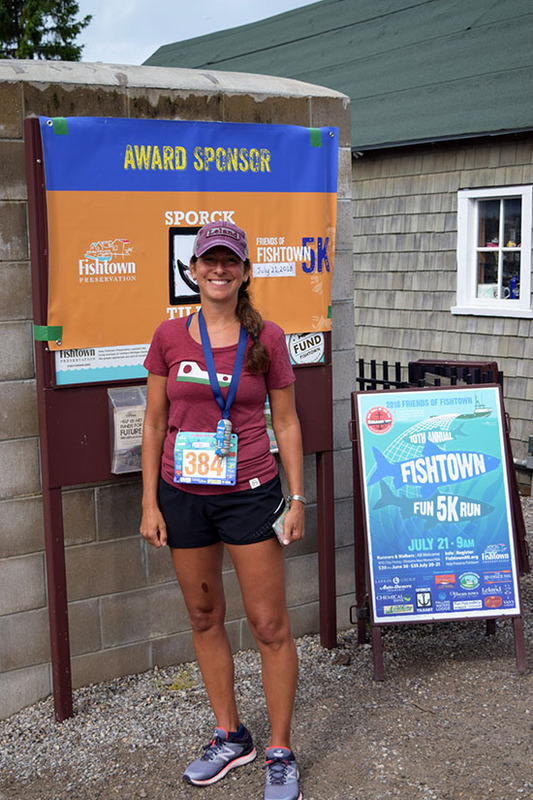 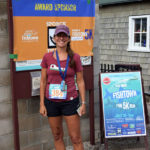 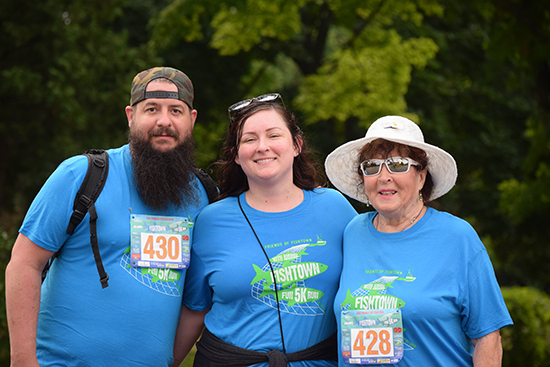 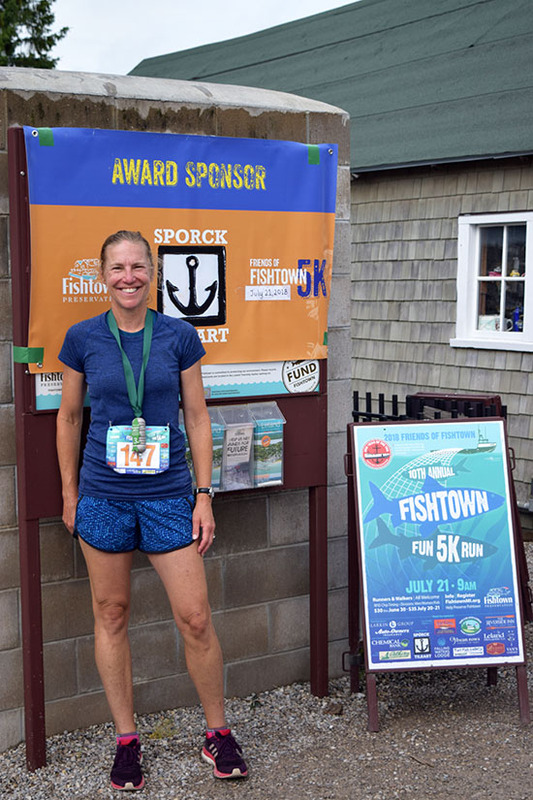 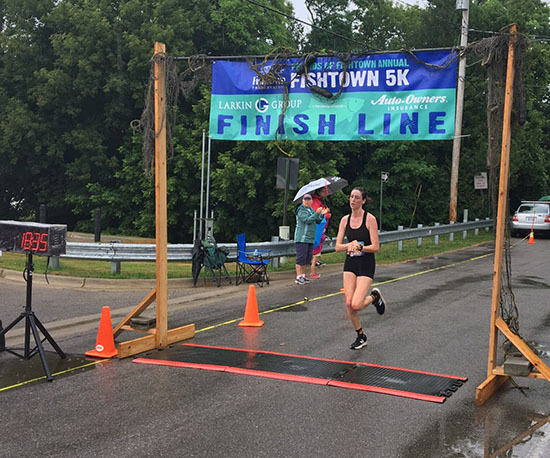 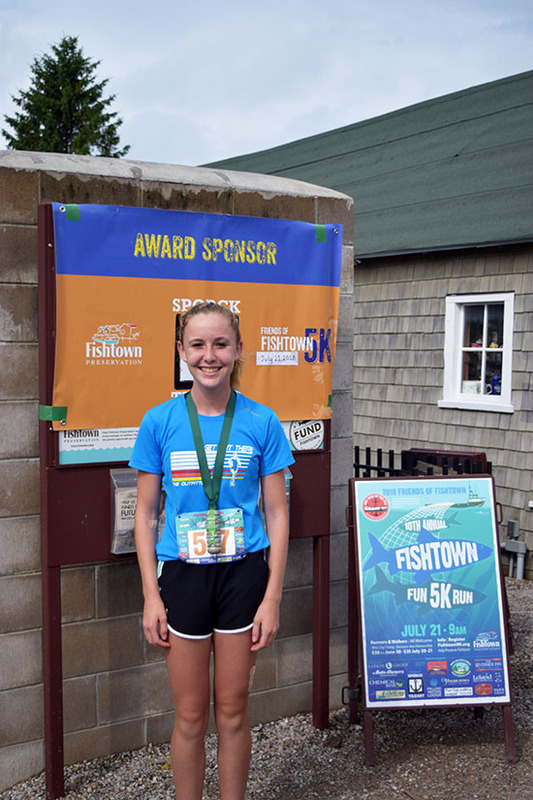 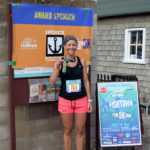 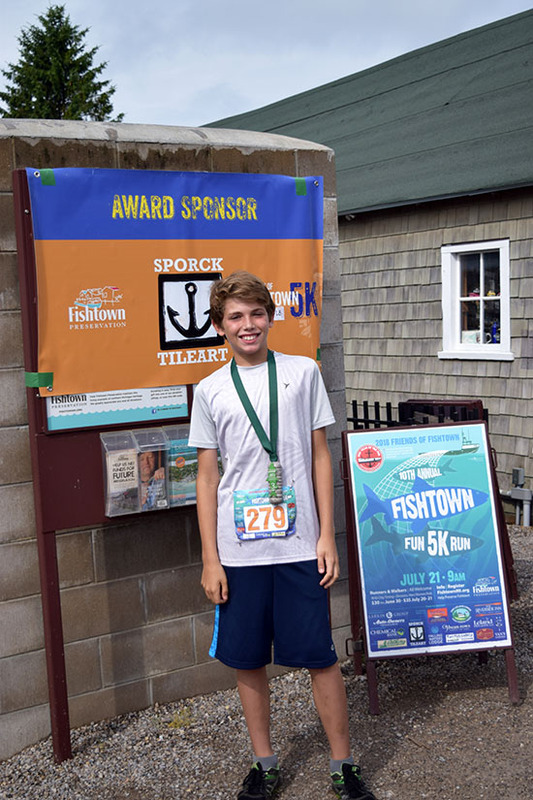 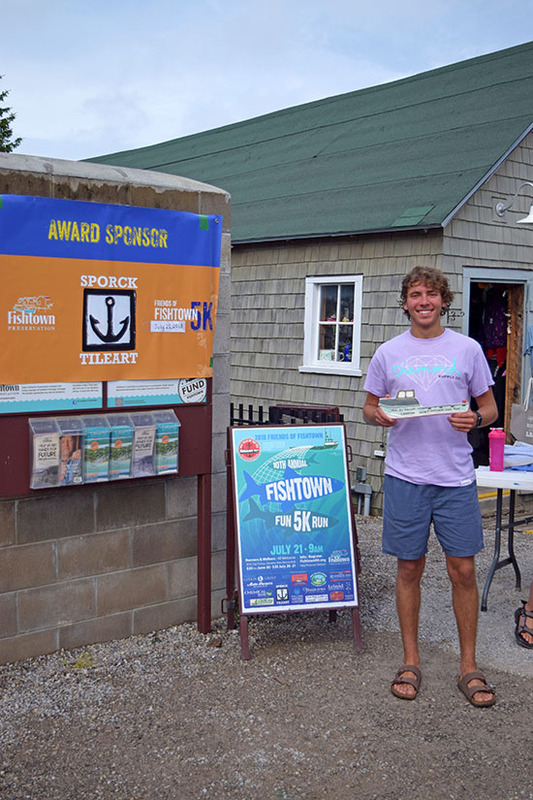 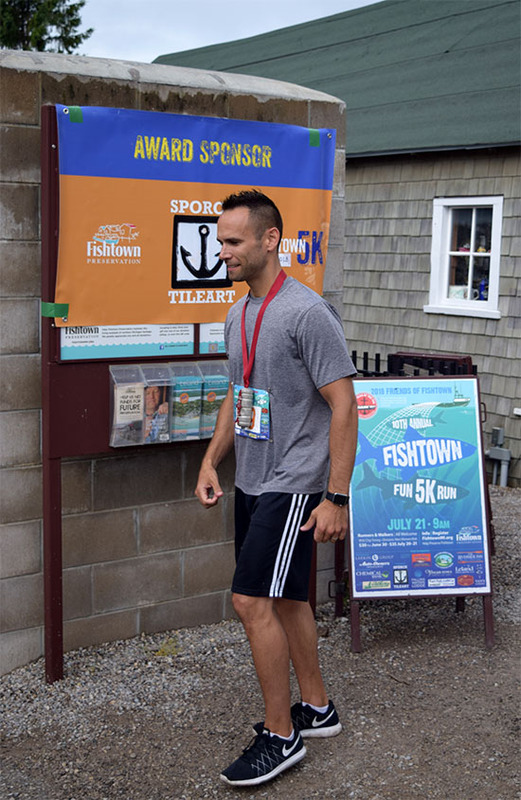 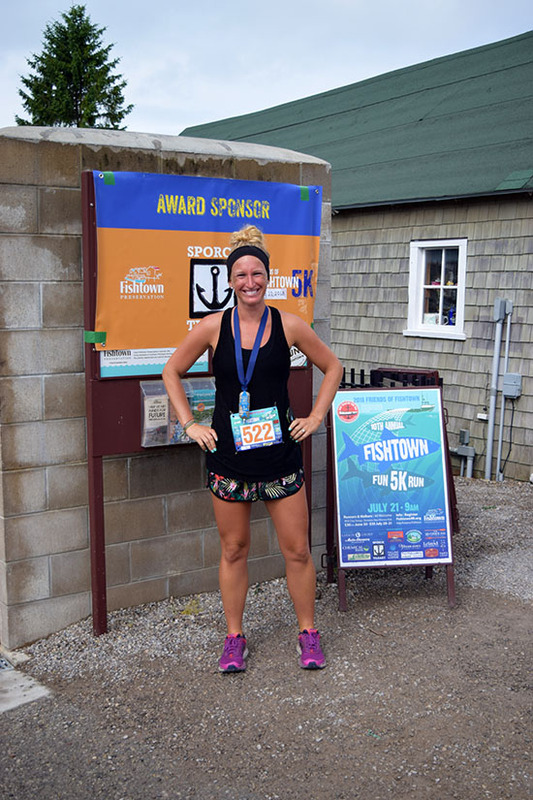 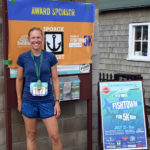 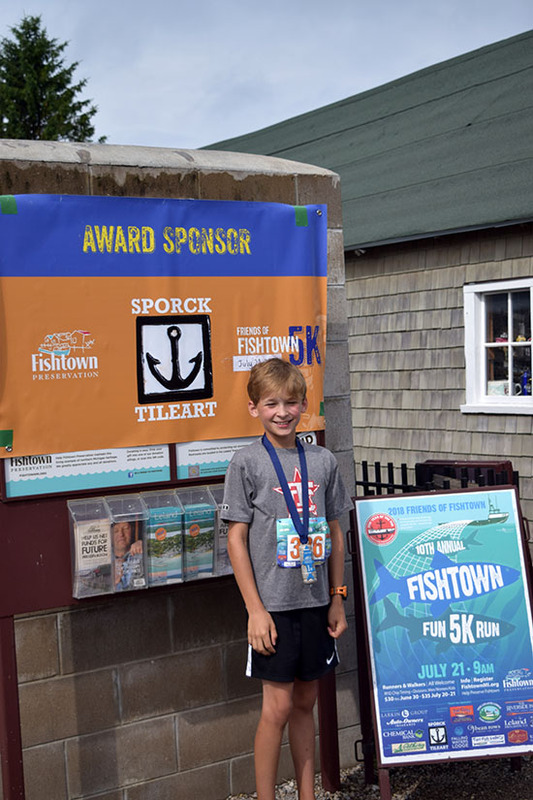 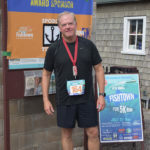 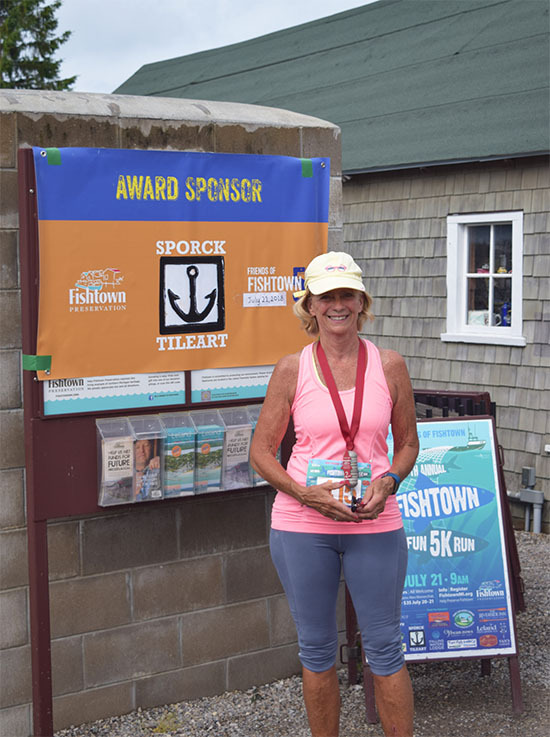 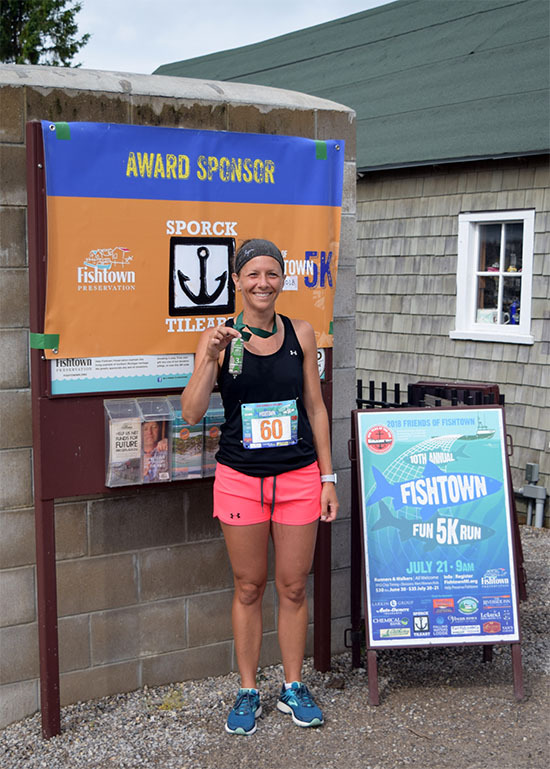 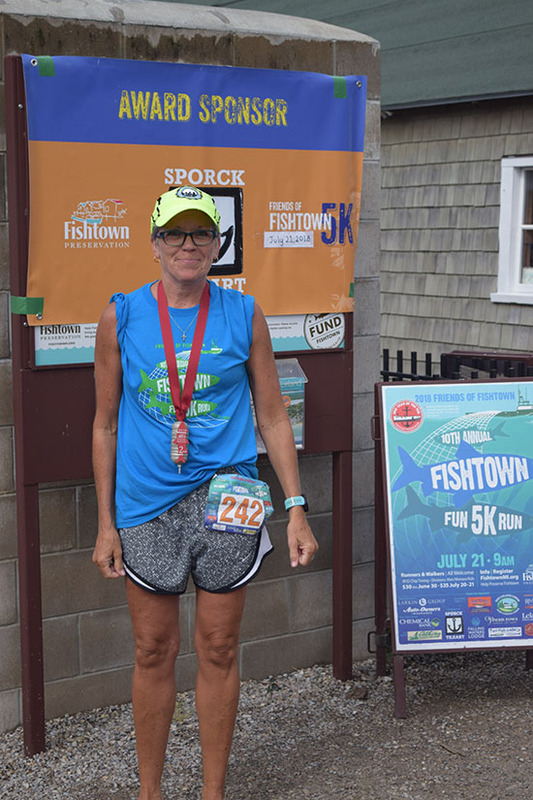 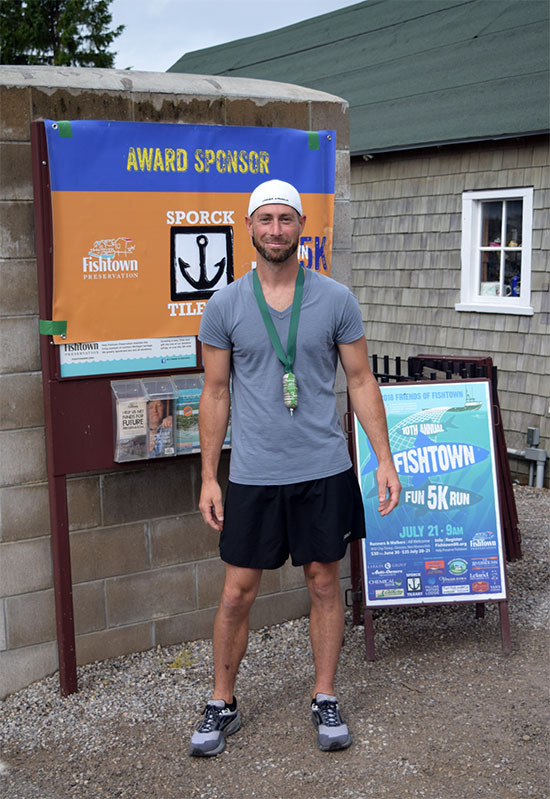 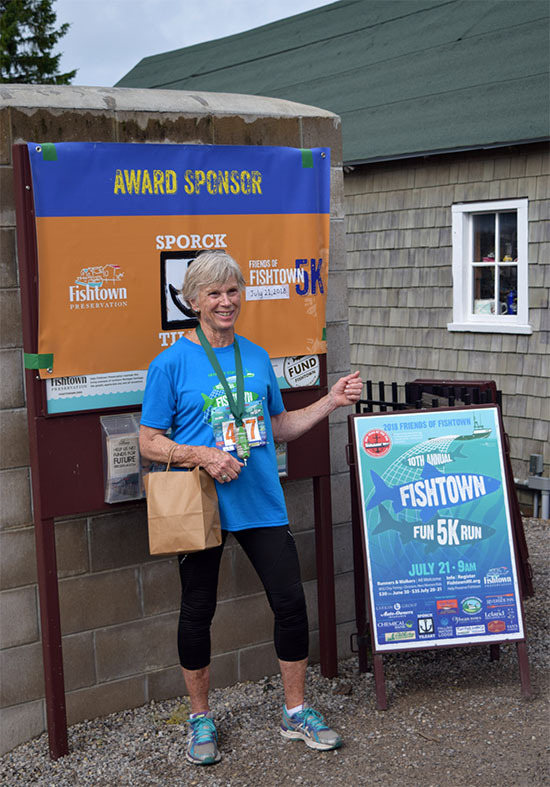 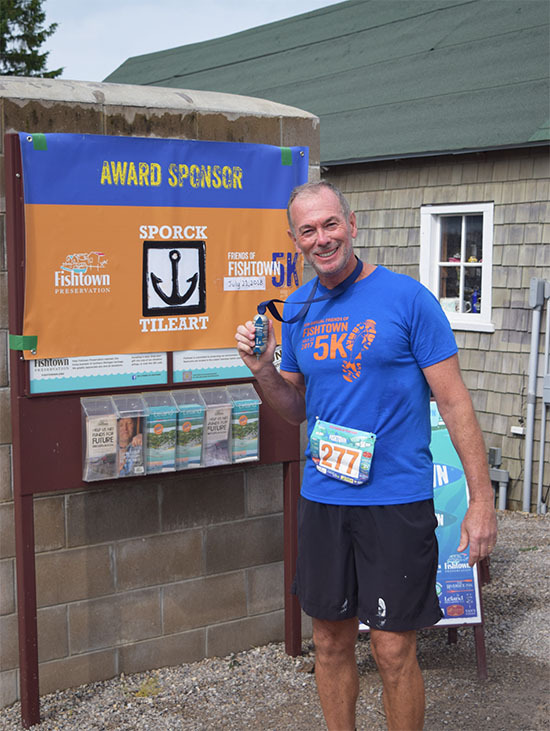 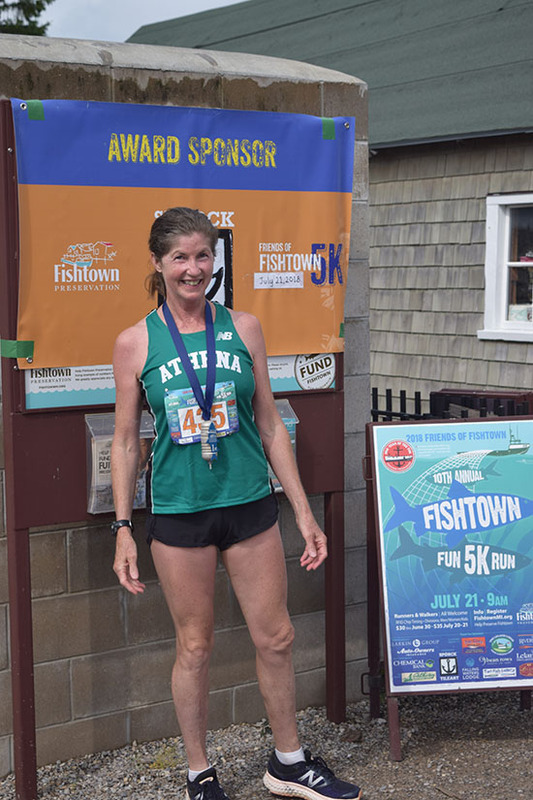 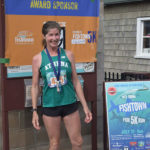 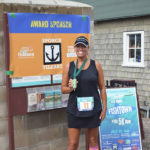 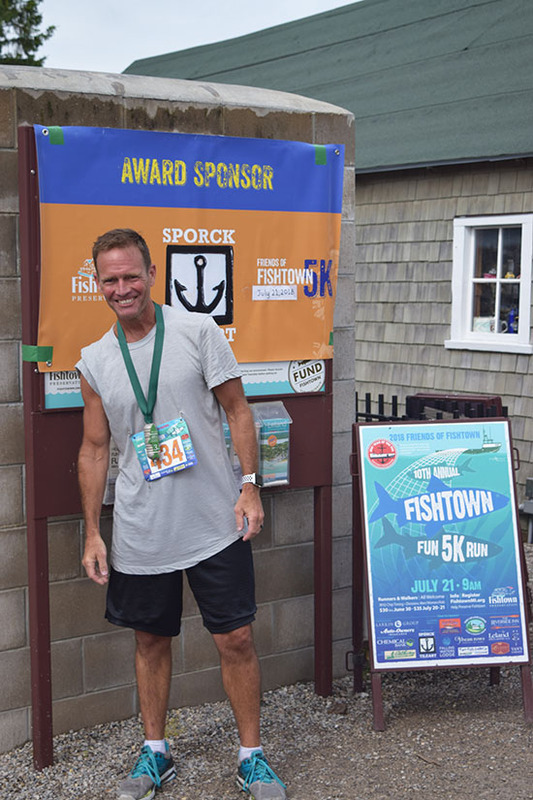 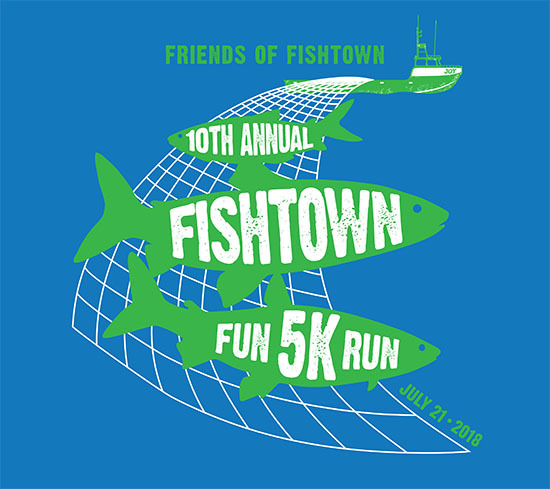 Thanks to everyone that came out to support Fishtown Preservation—as a racer, volunteer, sponsor or cheerleader. 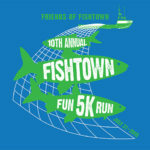 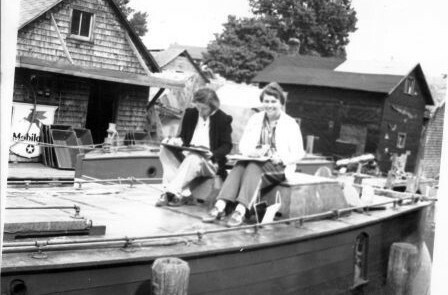 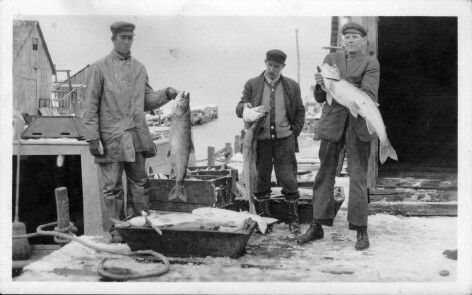 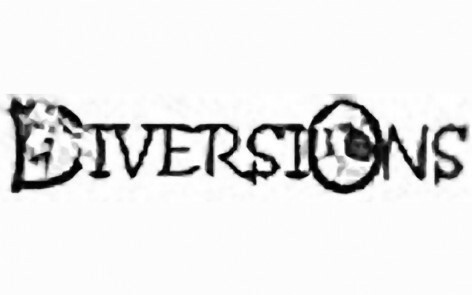 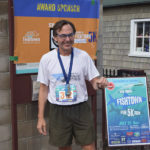 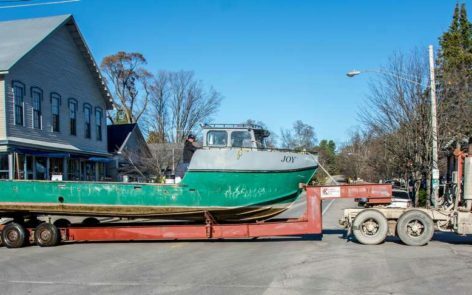 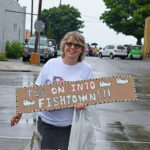 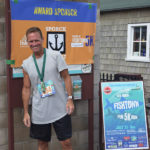 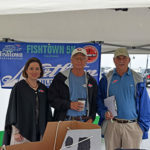 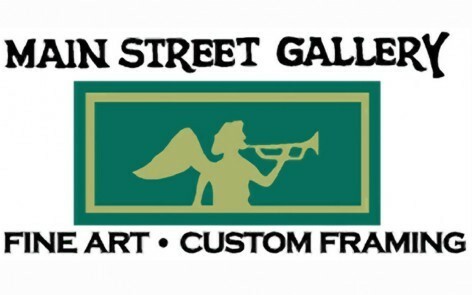 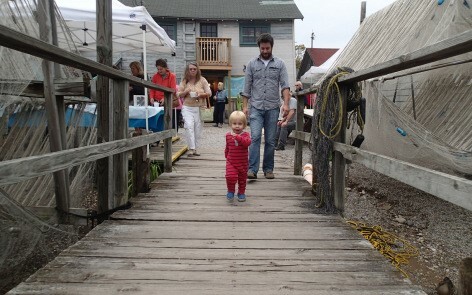 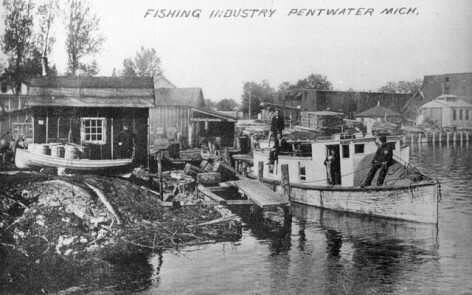 All that are involved make this event a huge success in helping to preserve Fishtown. 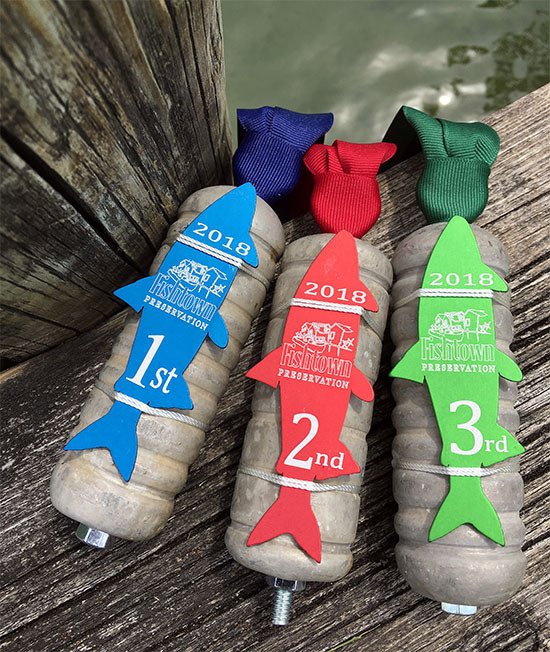 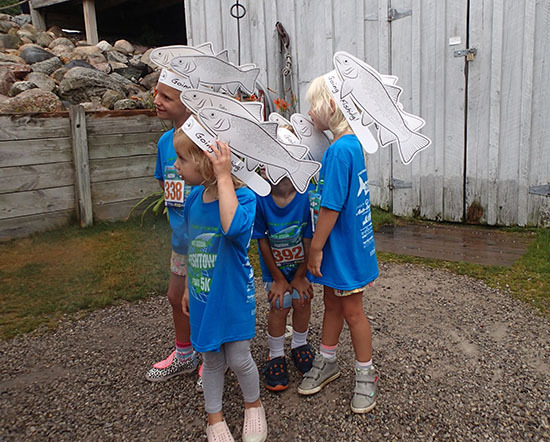 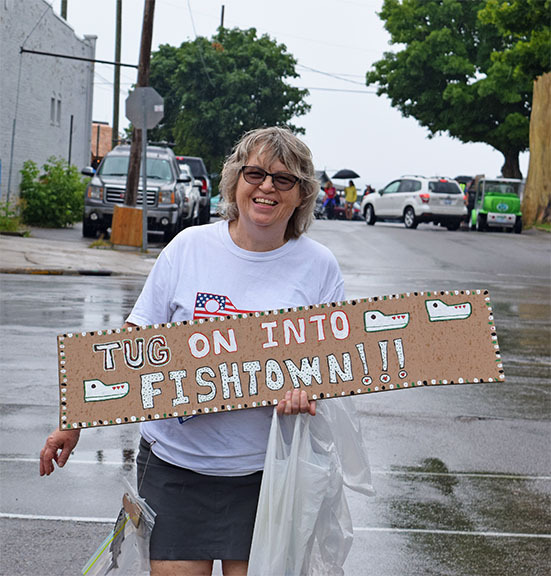 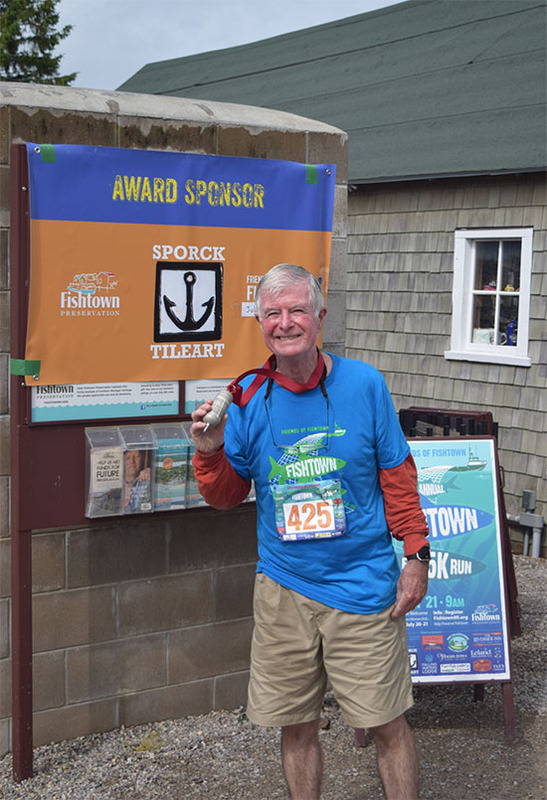 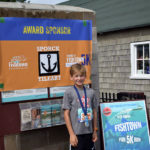 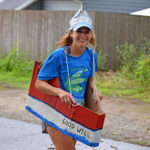 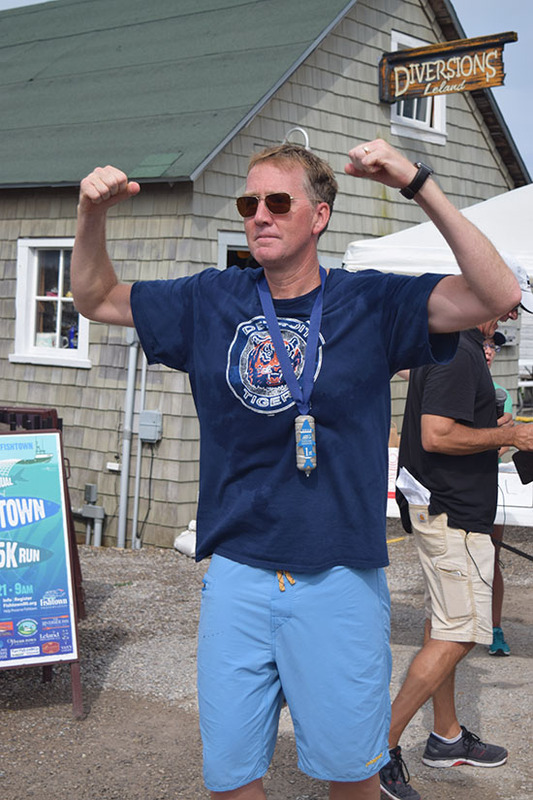 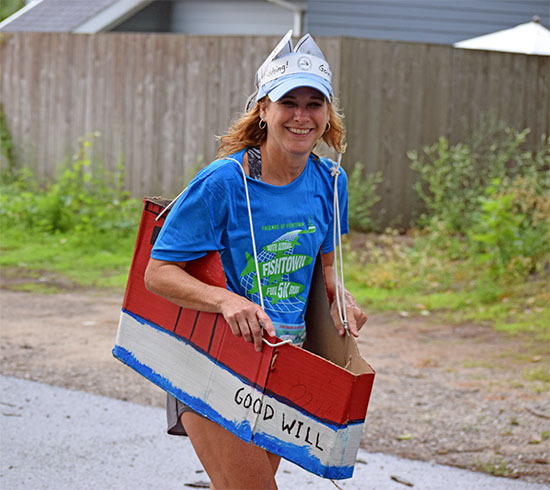 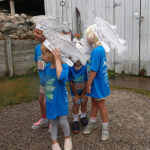 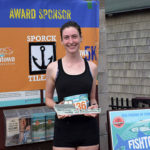 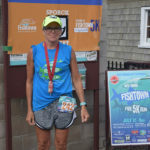 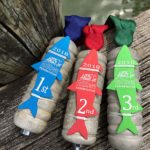 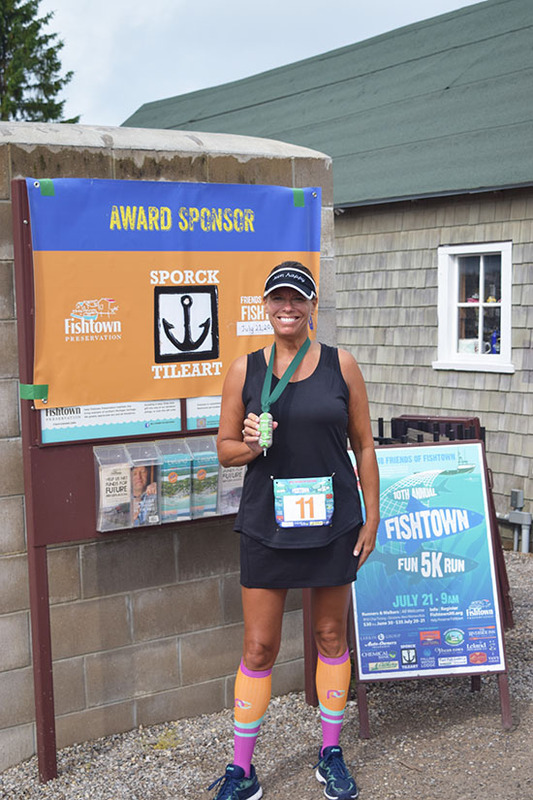 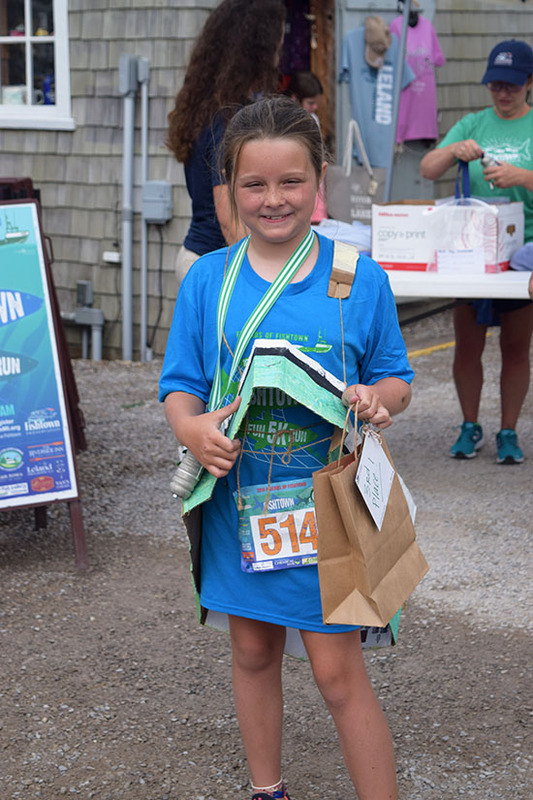 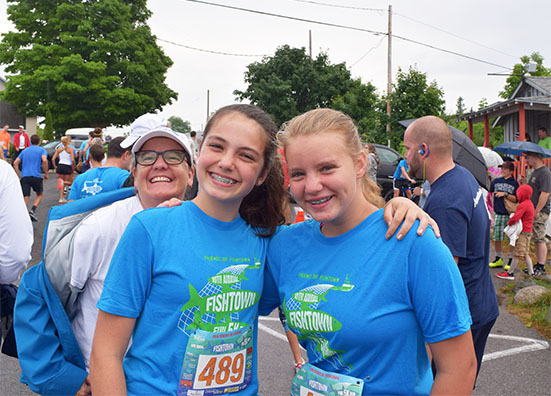 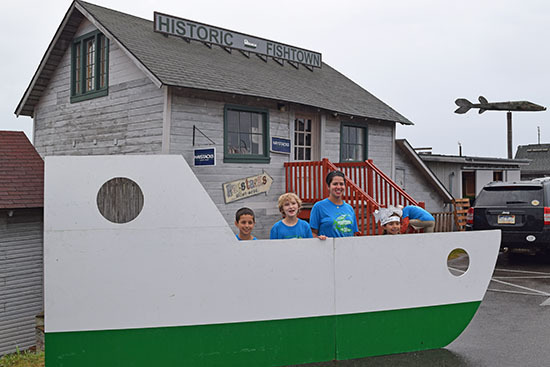 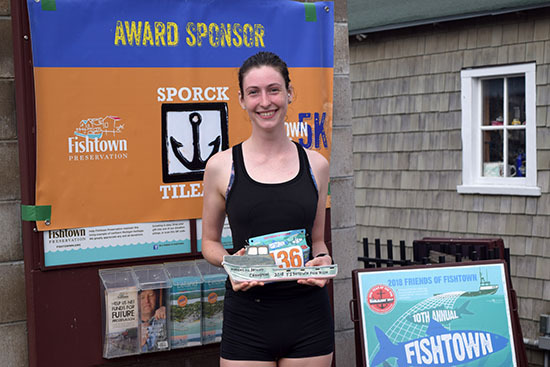 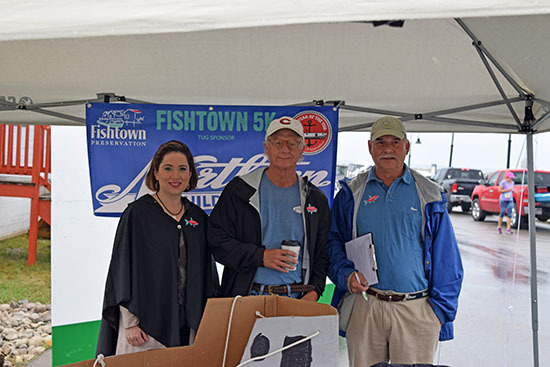 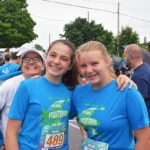 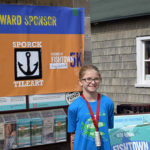 In celebration of our 10th Annual Fishtown 5K, we declared 2018 the “Year of the Tug.” We had two tug costume workshops before the race to encourage racers to dress as fish tugs to celebrate with us. 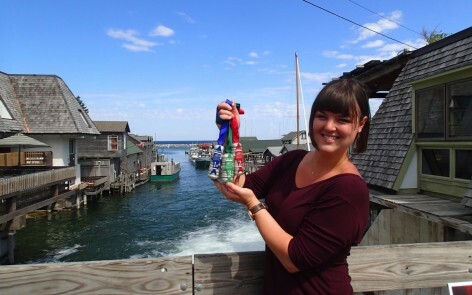 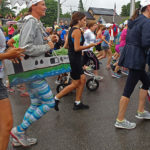 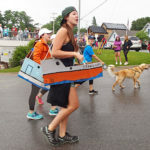 Unique medals were given to the top three tugs to cross the finish line and to the three best costumes. Best tug costume winners also received a gift basket from Tug Stuff. 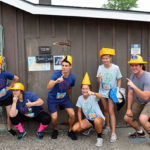 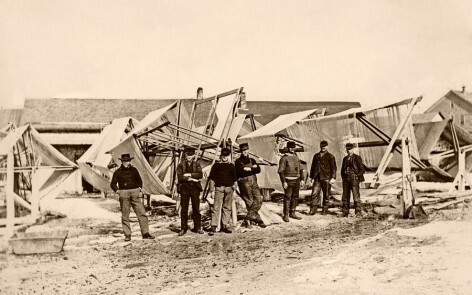 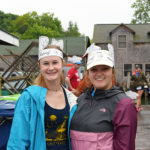 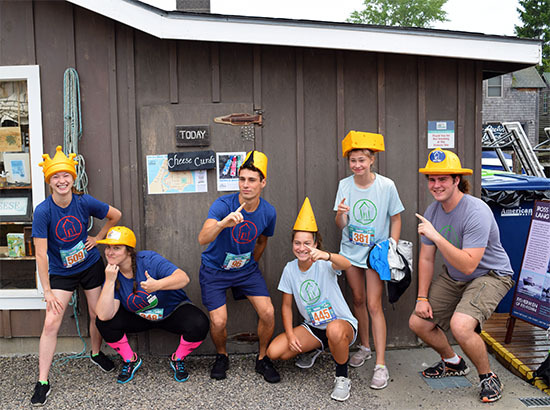 Other race costumes included a group of “Cheese Heads” from the Village Cheese Shanty. 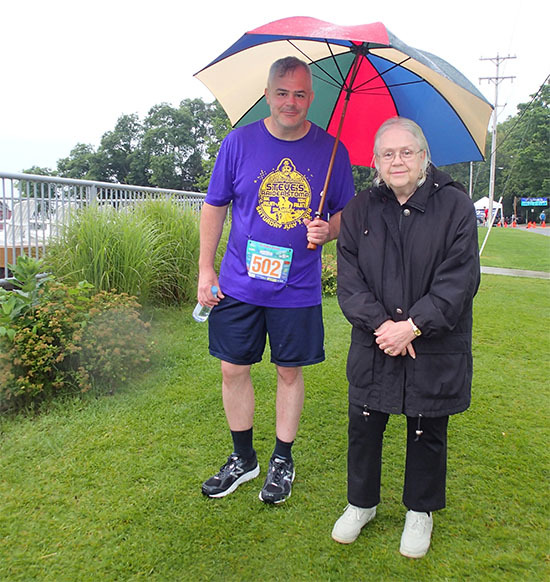 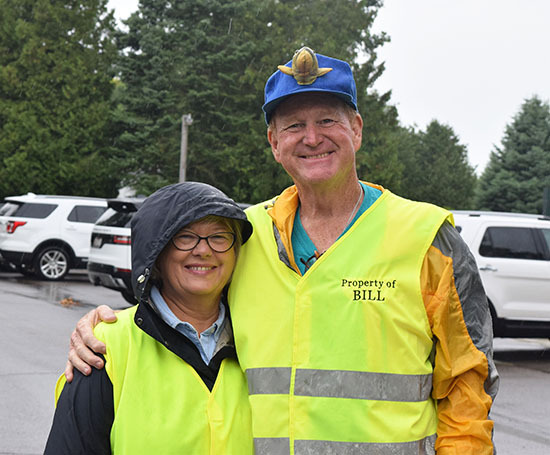 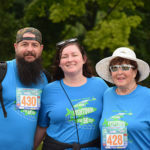 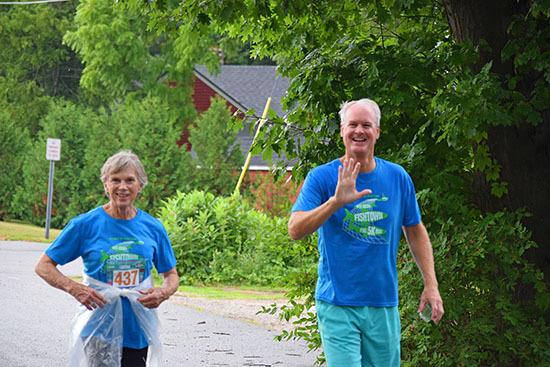 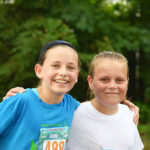 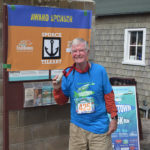 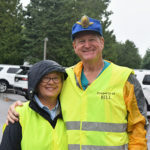 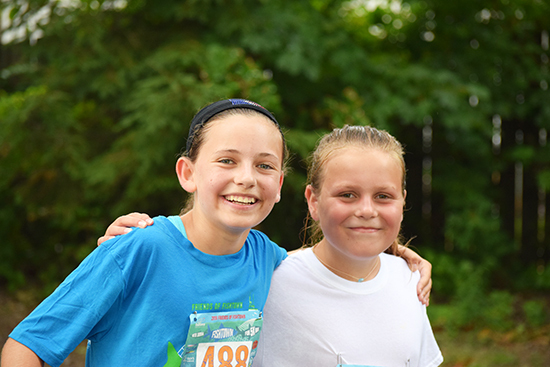 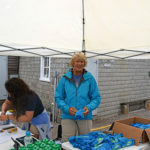 Our volunteers and sponsors are priceless, and we couldn’t do it without each of them! 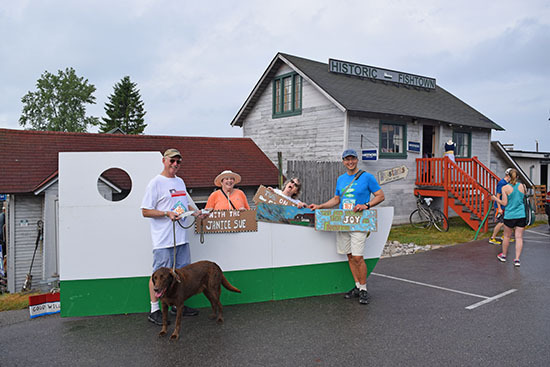 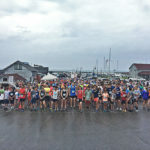 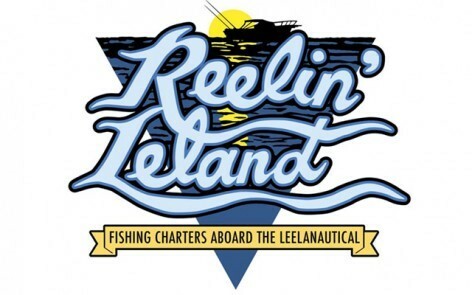 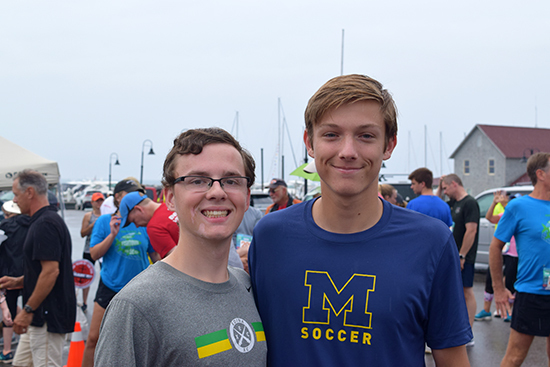 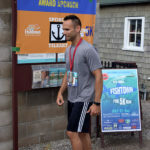 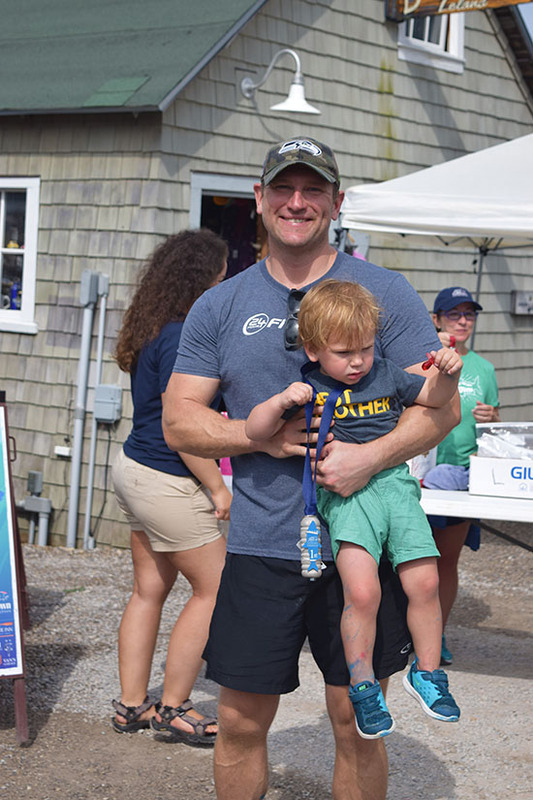 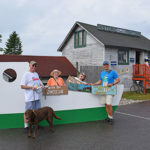 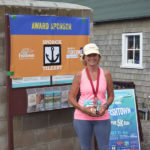 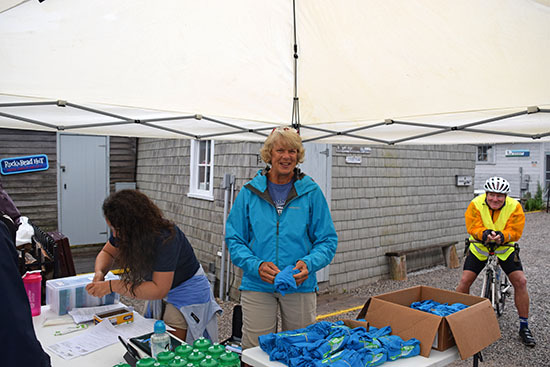 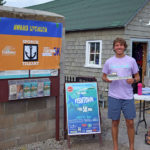 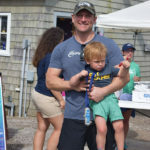 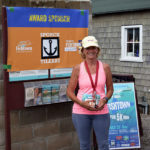 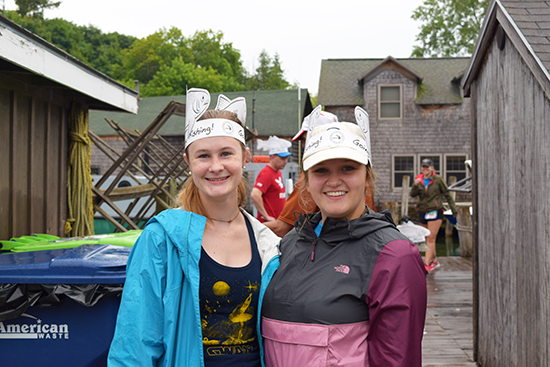 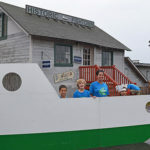 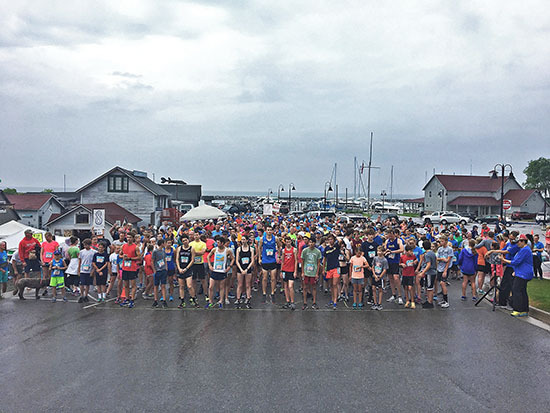 The Leland Yacht Club again hosted the course water station with a fantastic group of volunteers. 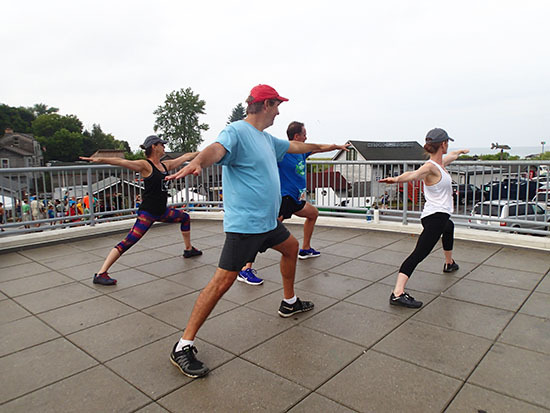 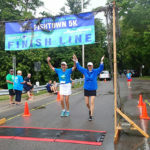 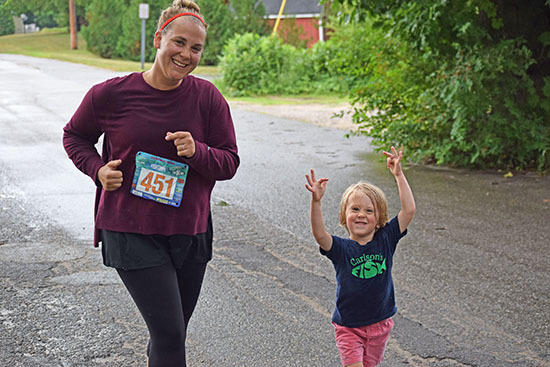 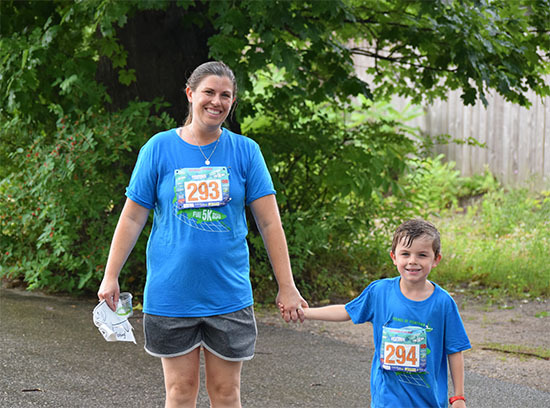 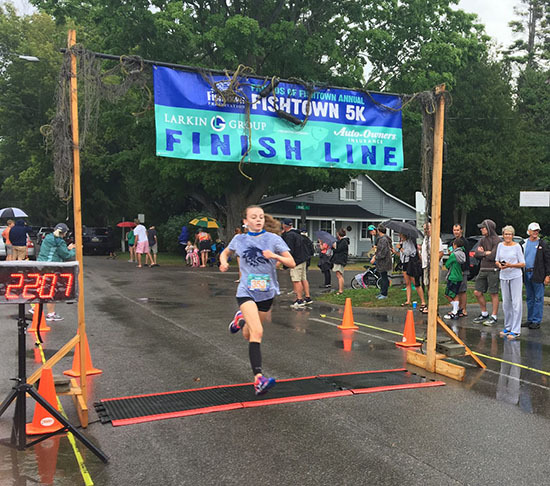 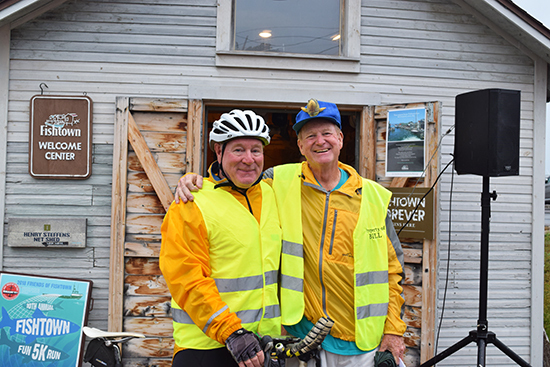 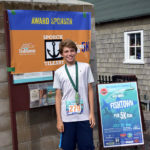 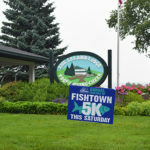 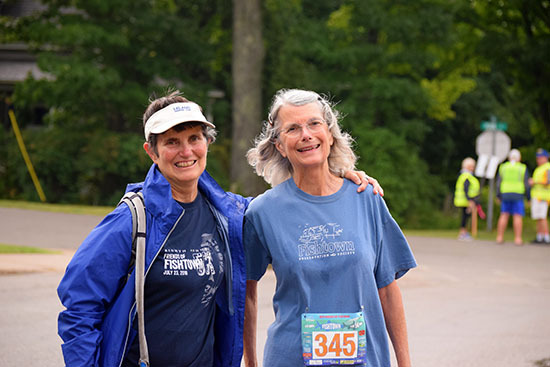 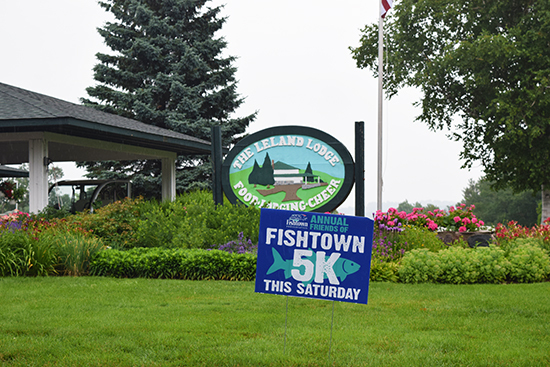 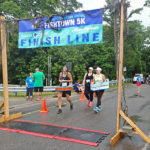 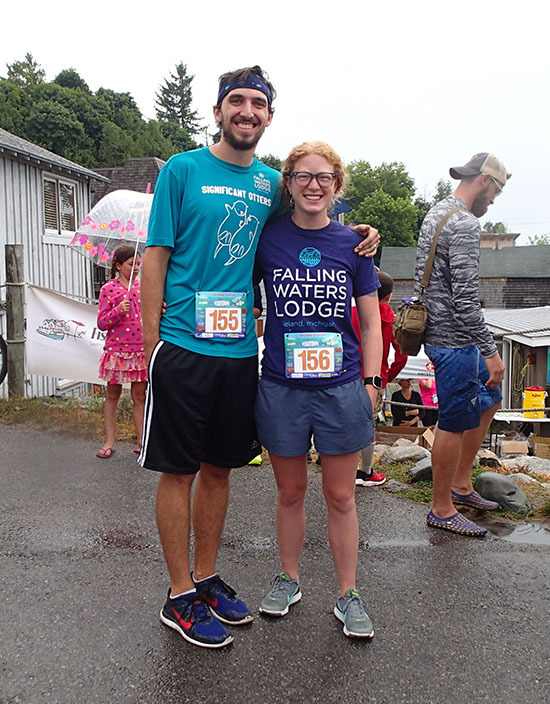 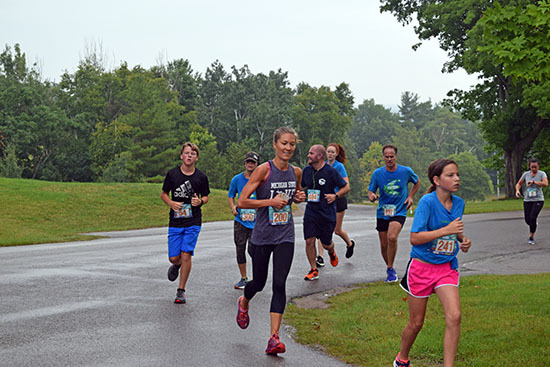 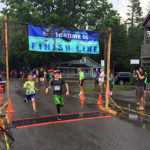 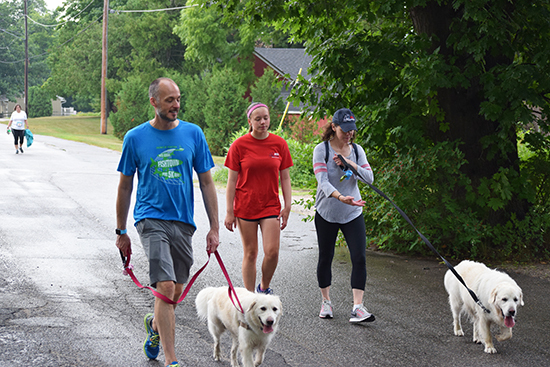 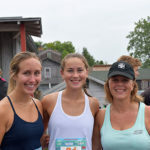 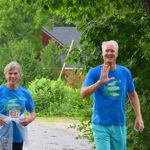 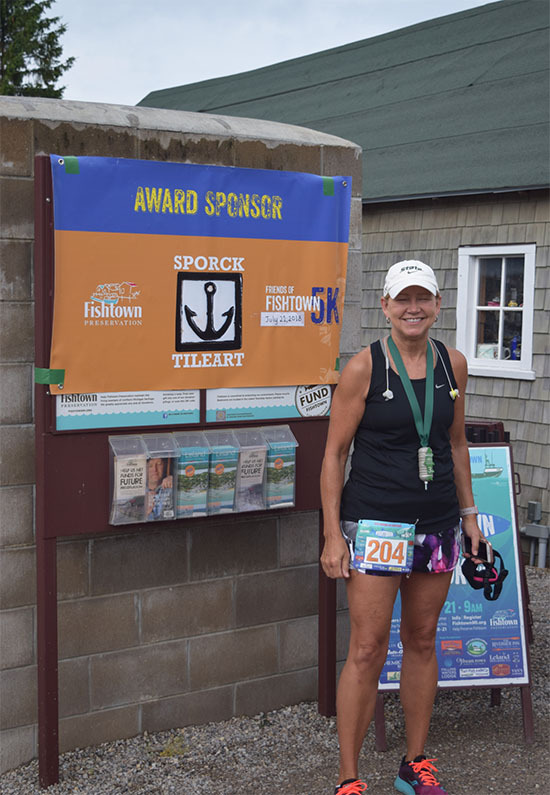 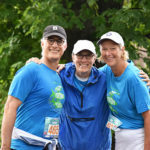 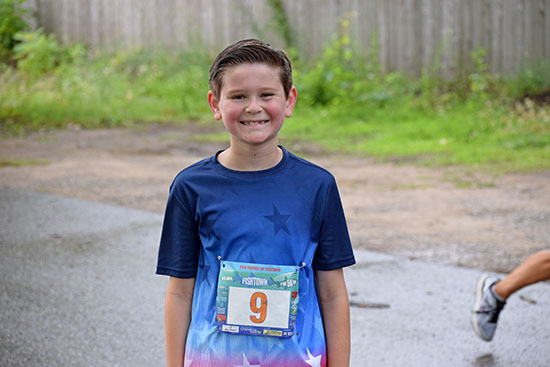 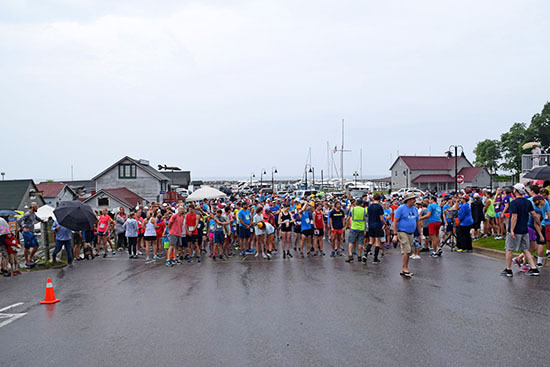 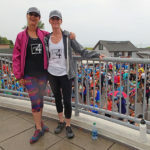 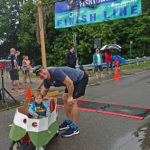 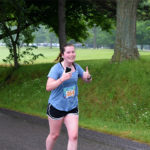 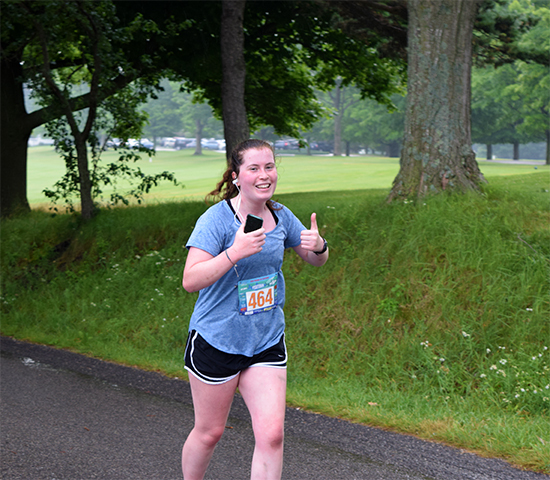 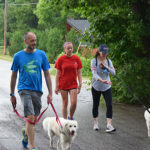 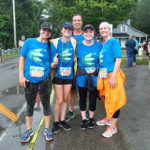 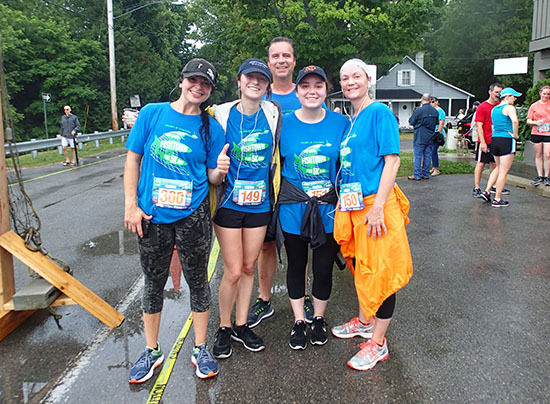 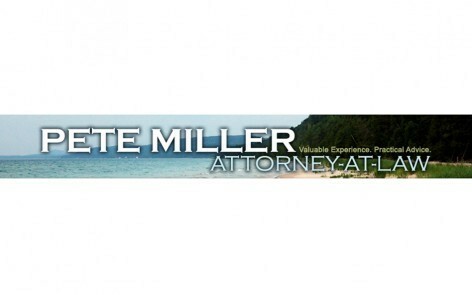 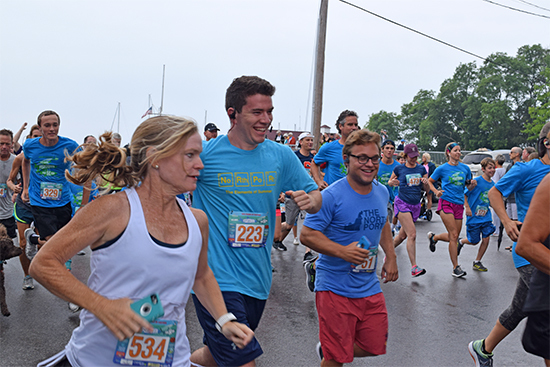 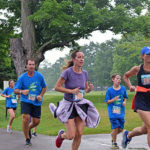 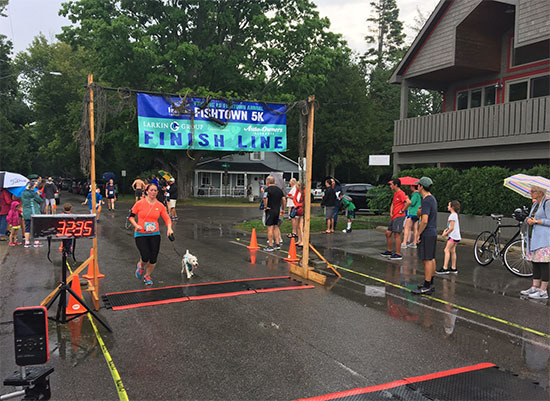 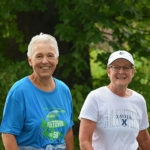 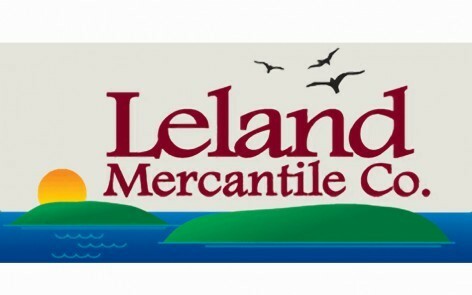 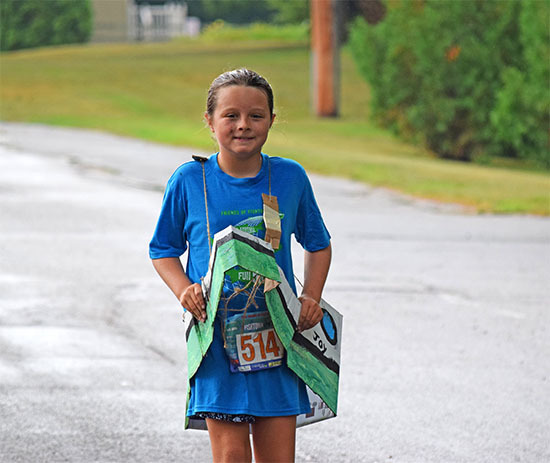 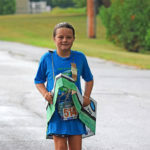 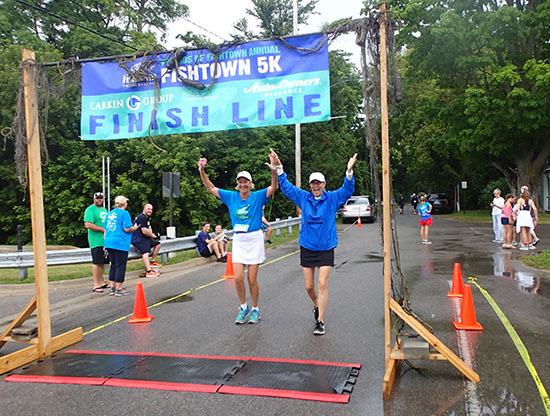 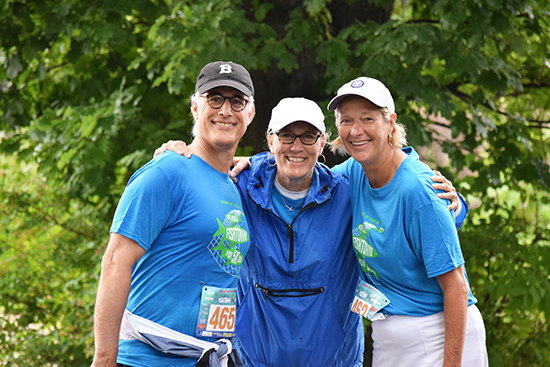 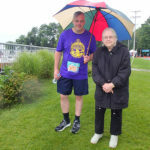 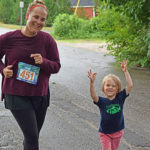 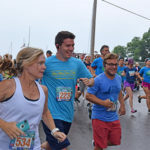 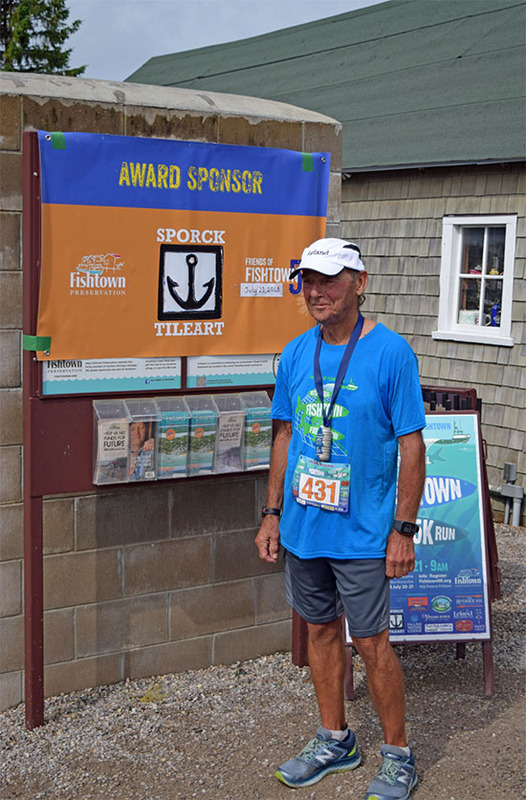 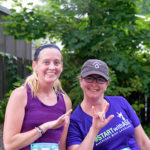 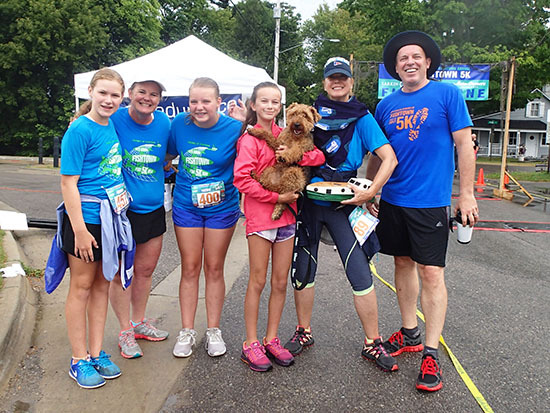 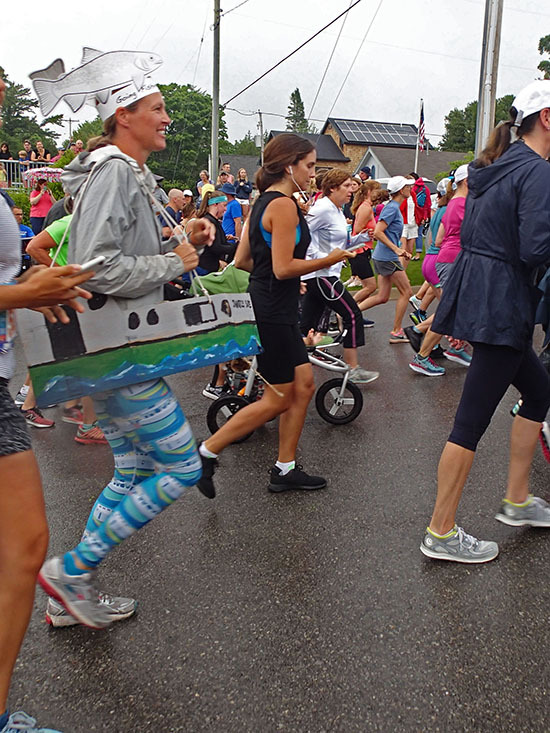 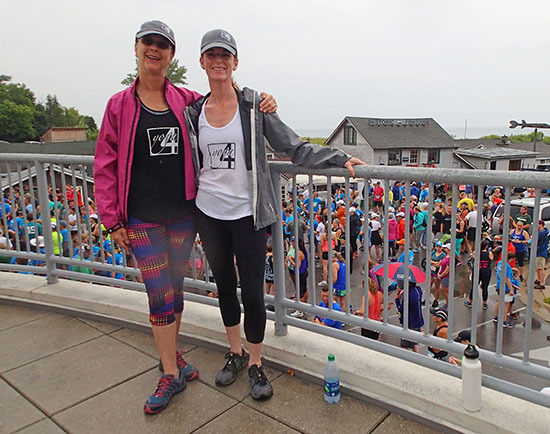 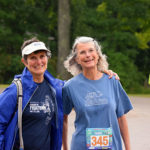 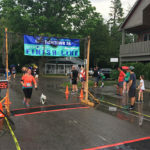 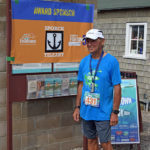 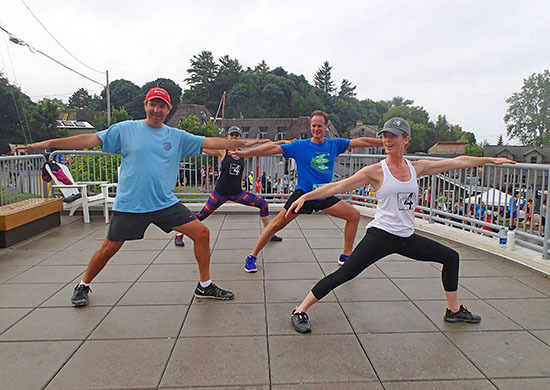 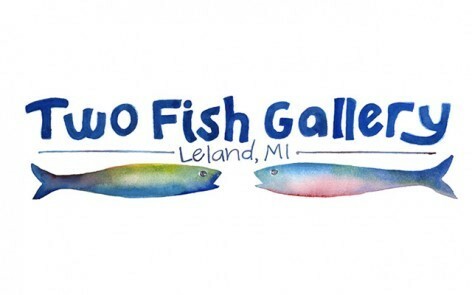 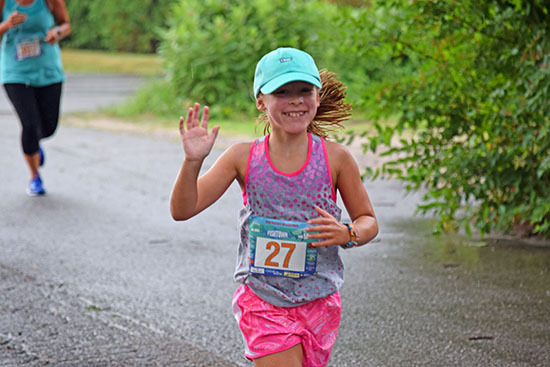 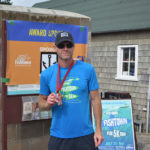 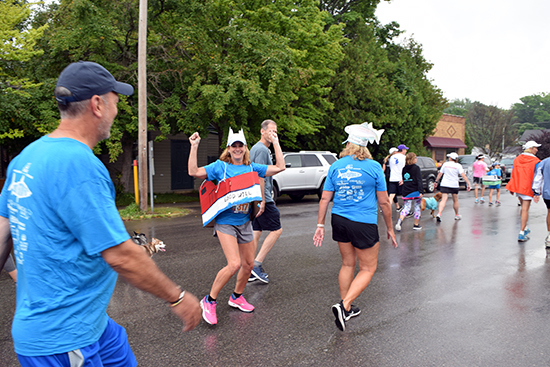 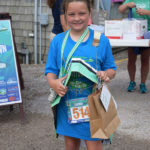 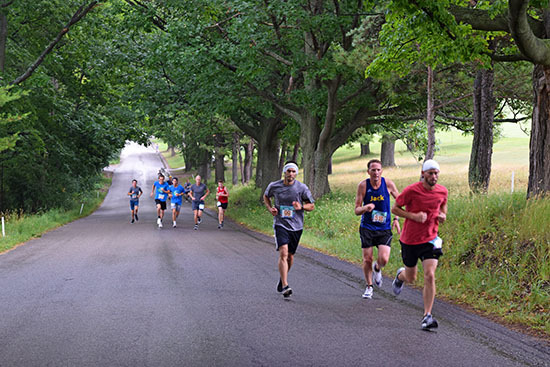 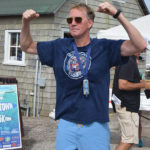 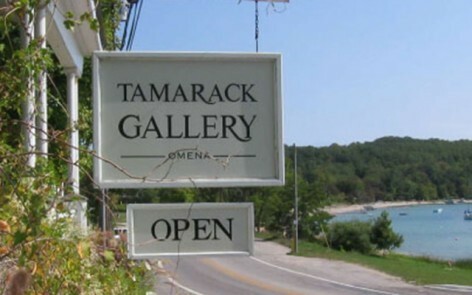 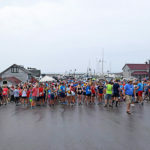 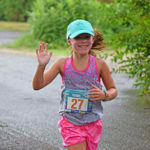 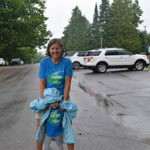 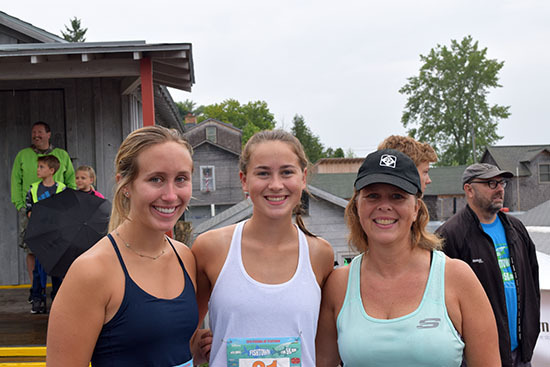 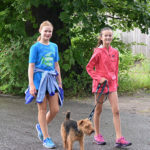 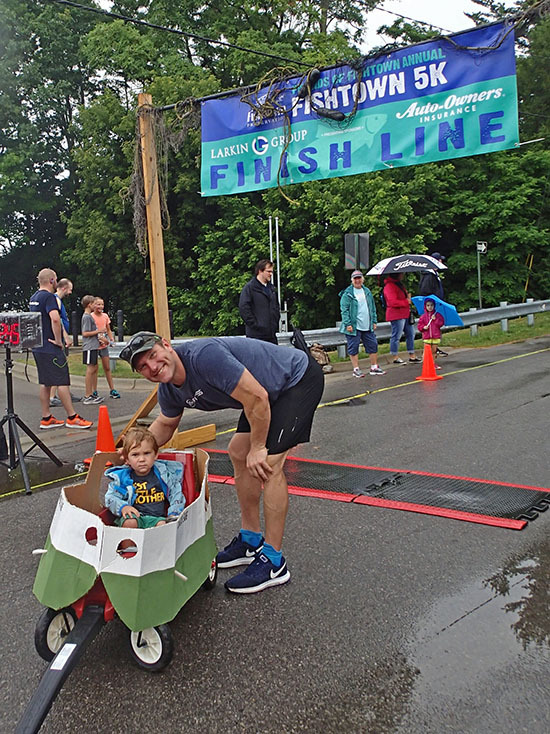 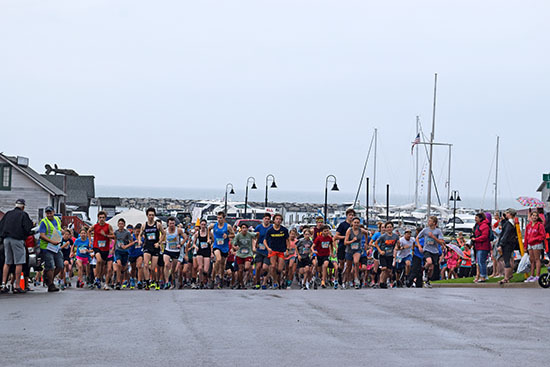 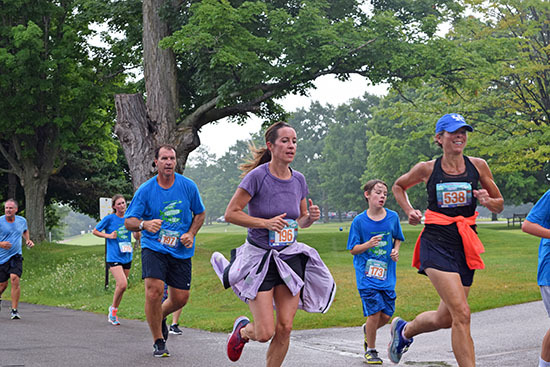 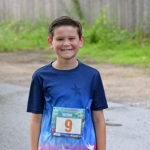 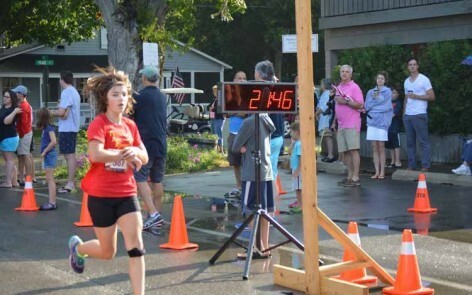 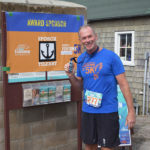 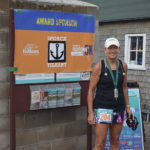 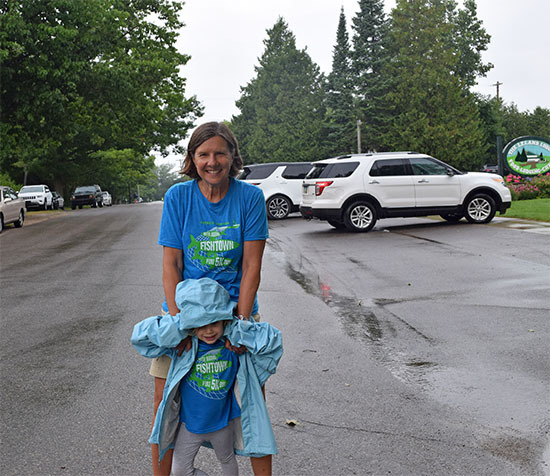 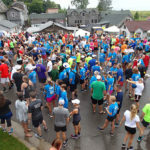 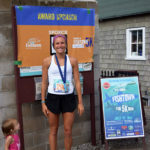 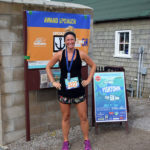 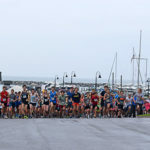 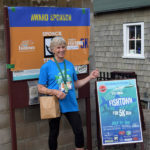 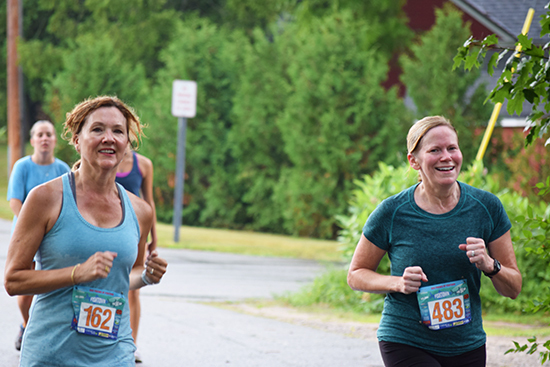 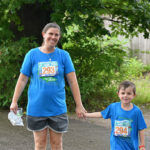 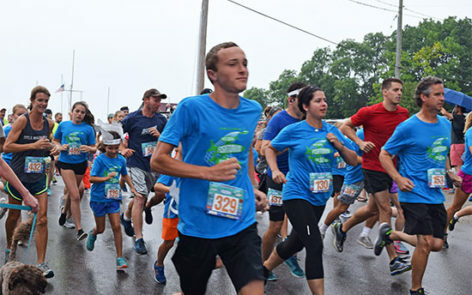 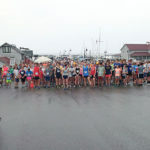 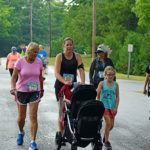 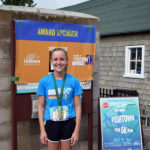 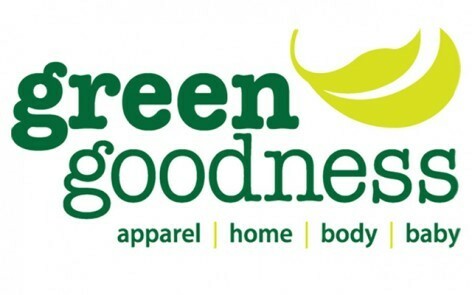 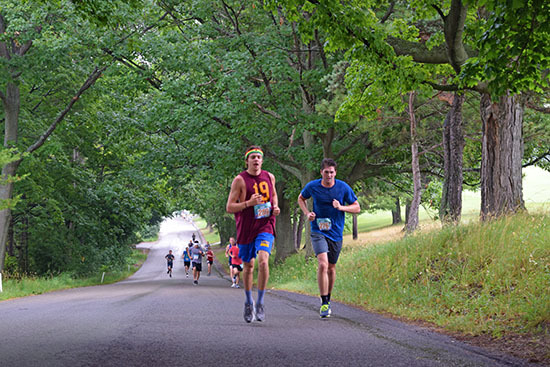 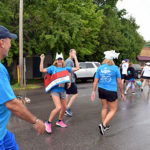 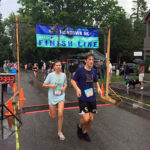 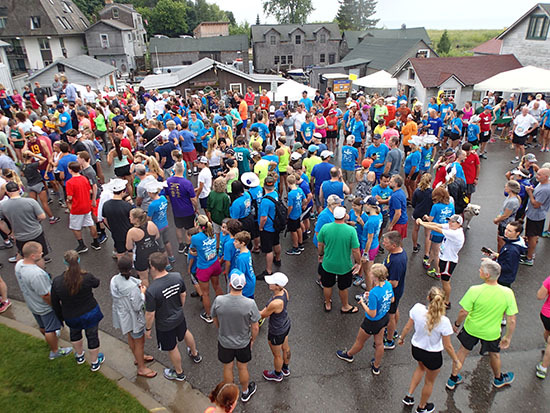 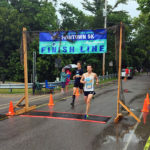 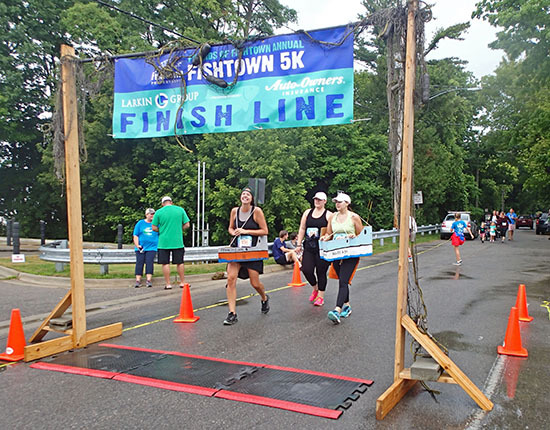 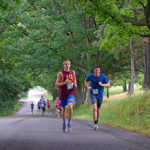 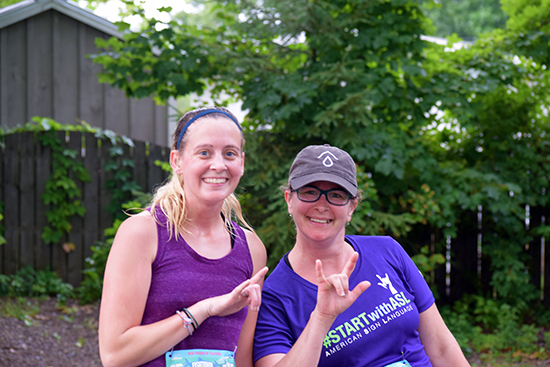 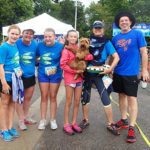 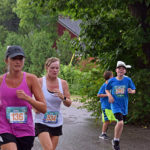 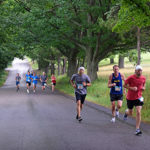 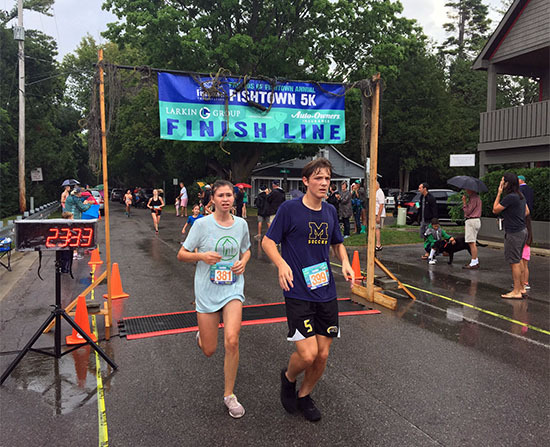 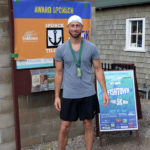 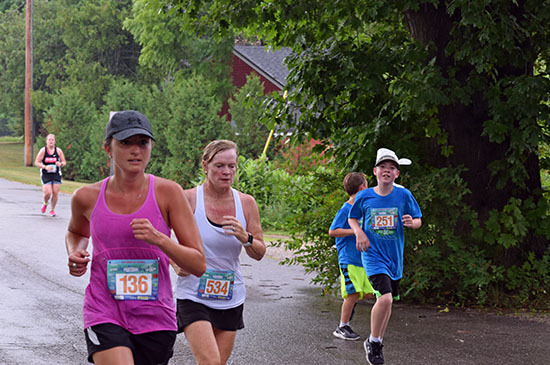 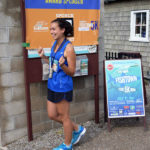 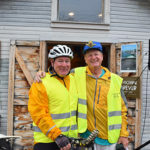 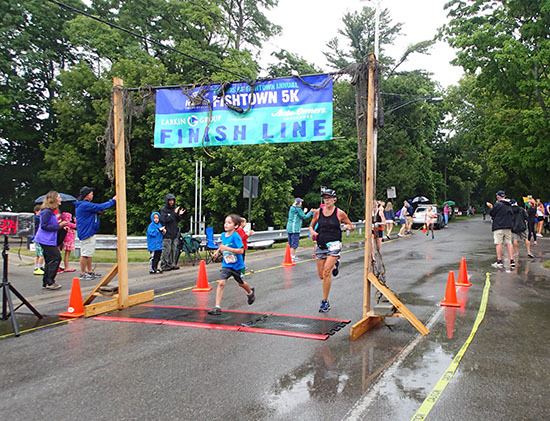 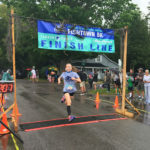 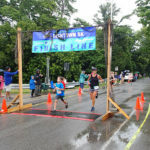 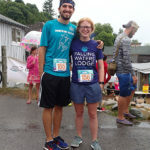 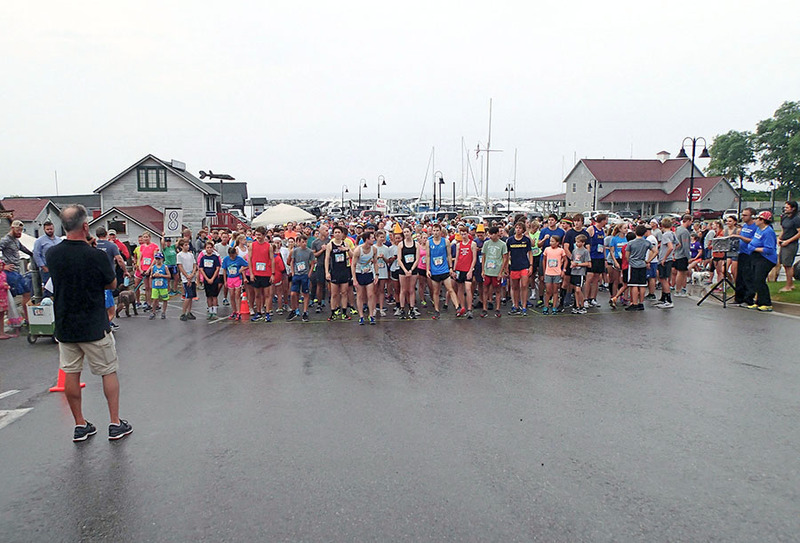 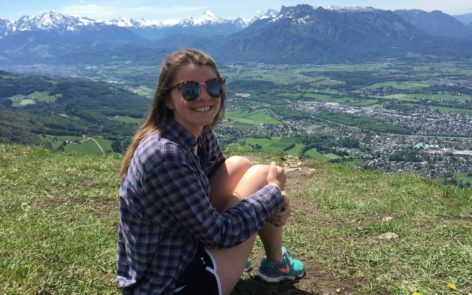 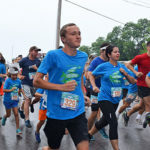 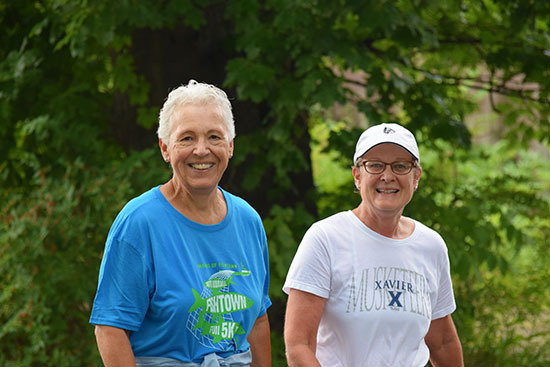 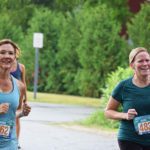 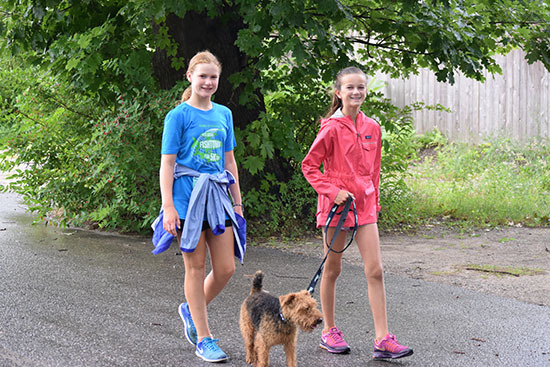 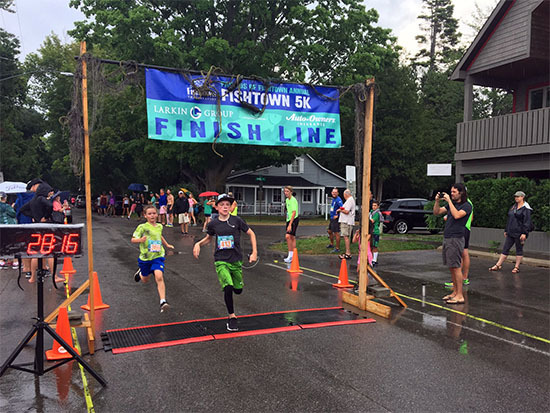 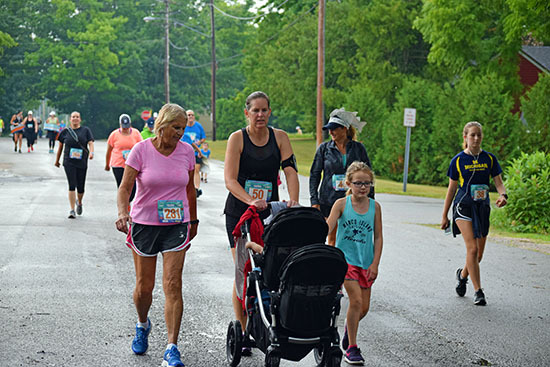 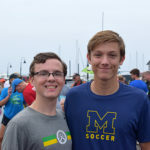 And we are grateful to Yoga4 of Lake Leelanau for offering a FREE 20 minute cool down yoga practice to runners and spectators near the finish line.